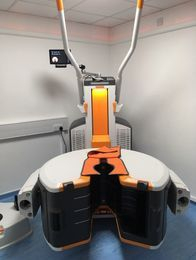 Cobalt Health has a new open extremity Carestream Cone Beam CT scanner, and the service started in September 2017. 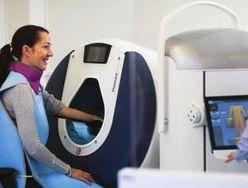 There is also a Cone Beam CT scanner available at St Luke's Radiology in Headington, Oxford, and at Cavendish Imaging in Harley Street, London. The Cone Beam CT scanner is very fast, easy to use and more comfortable for patients, particularly when scanning in weight-bearing positions. There is plenty of room as you only have to put your arm or leg in the scanner. It can provide high quality 3D images and is excellent at reducing artifact from orthopaedic metalwork. Lower dose than conventional CT scans, comparable with some x-rays. Assessment and follow up of arthritis.